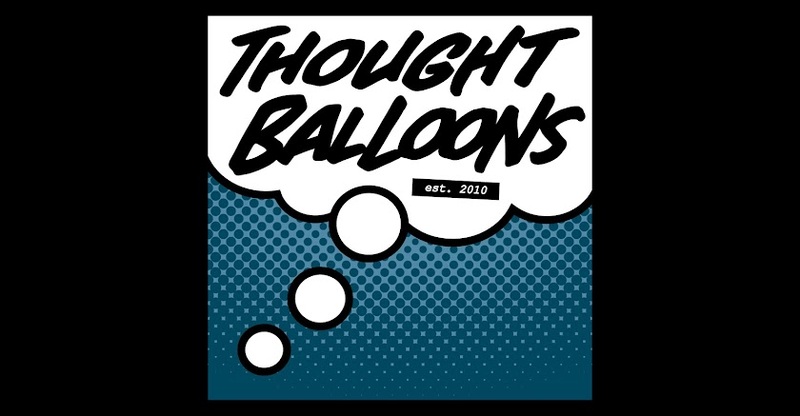 Thought Balloons - Creating Comics One Page At A Time: The Plutonian – Glass Houses - Shaun Richens. I have only read the first trade of the series so I hope this fits in ok.
1. A picturesque suburban street at night. Streetlights bath pools of light in between the darkness of the night. The guy in the red cap, henceforth known as RED CAP, from the panel above is walking home. He is wearing a sports jacket to keep out the cold, and big ear covering headphones. 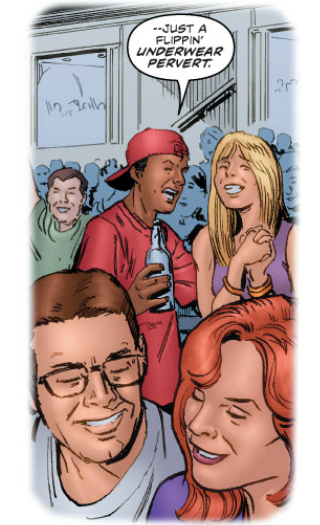 In the top right of the panel the boots of THE PLUTONIAN suspend in the air as he watches RED CAP from a far. 2. RED CAP is walking towards us, just passing under a light, bathed in it for a second. The Plutonian hangs with a creepy menace to him high in the air looking down on Red Cap. The Plutonian is wearing his original costume with the cape. The Plutonian is all in shadow apart form the dark, deep red glow of his eyes. 3. Red Cap is walking up the path, his back to us, towards a lovely looking home; lights are on in the front windows. This looks like a wonderful place to live. Red Cap holds his keys in hand. The Plutonian has landed at the gate to the house, his back to us as well. 4. Red Cap has looked back over his shoulder towards the gate. We are looking over his shoulder with him. The gate is closed and the street is empty, the night is quite and still. 5. Looking through an upstairs window into Red Caps bedroom, the door to the room is open and light from the hallway outside lights up the bedroom just enough for us to see Red Cap walking in. 6. The same set up as 5. Now however we have pulled back. Red Cap has turned the lights to his room on and goes to put his jacket away; we can see posters of girls in bikinis hung up on his walls. The Plutonian floats beside a tree out the window in enough shadow as to not be seen. He just floats, watching, waiting. Now you shall be judged. Very creepy page, and I'm surprised Mark Waid didn't follow up on "Red Cap's" comment himself. "Creepy" was defintely the vibe I got. Moody and atmospheric, and spot on. An excellent pick up from a random background comment. This is a wicked look at what the Plutonian's individual intimidations could look like. Really well done. The funny thing is, you tweak this slightly and it reminds me of the scene in Superman Returns where he's watching Lois Lane at home.